This is a collection of 12 books, perfectly selected for new little readers. With a mix of old favourites, new classics and developmentally appropriate choices, we've created a hassle-free gift program of 12 books; one for each month of baby's first year. 12 perfect books for baby...beautifully wrapped! 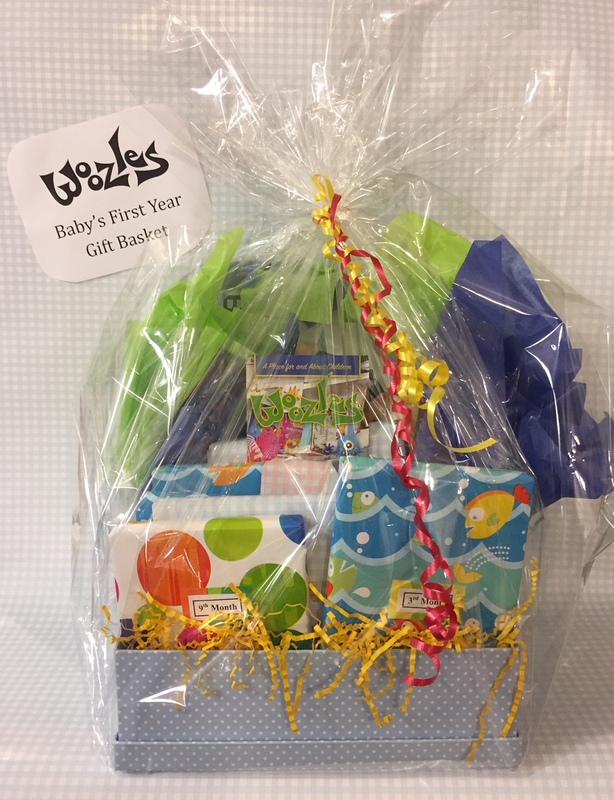 Baby's First Year is available as a gift basket or as a monthly gift to be picked up for only $135 (plus tax). Alternatively, it can be sent as a special monthly delivery to far-away friends (with an additional fee for shipping and handling). ***NOTE*** Please allow 24 hours notice to prepare a beautiful basket for you! 3rd Month: Brown Bear, Brown Bear, What Do You See? 6th Month: My First Taggies Book: Who Do You See? 7th Month: All About Me! 10th Month: Where Is the Green Sheep? Call our Toll-Free number 1-800-966-0537 or locally at 902-423-7626 for more information.